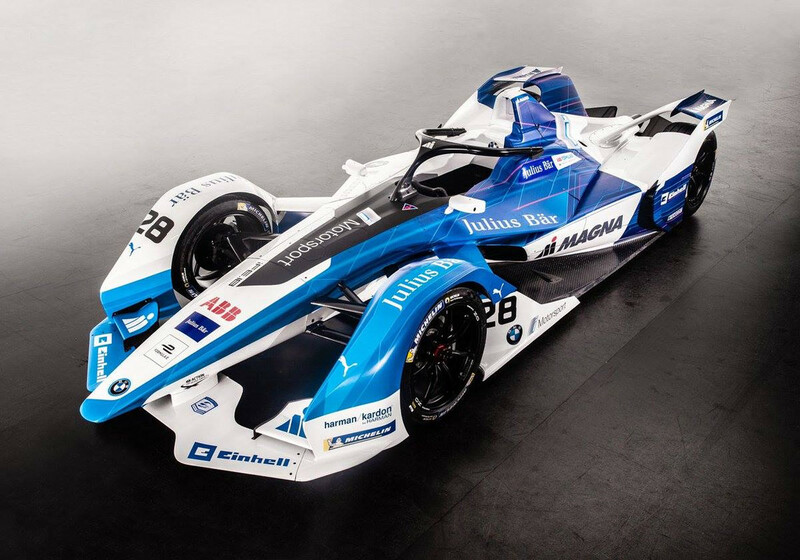 This season, Formula E is taking a step further into the Motorsport legacy. As the Generation 1 cars completed their very last race in the streets of New York, with the Title clinched by Jean Eric Vergne, a new Era is about to begin. 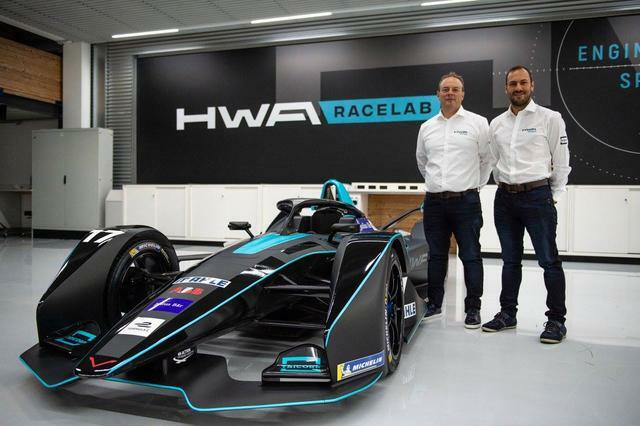 The all-electric serie is ready to write history with the debut of the Generation 2 car: a more powerful, more aggressive, longer lasting electric car that will change the way of watching Formula E.
New cars, new circuits, new rules, new constructors, new faces: the Season 5 of Formula E will feel like a brand new start. The SRT05e was designed by Spark Technologies under FIA's instructions (the first sketches were made by Jean Todt himself), utilizing a Dallara spec chassis. This is a low drag, electric beast: every angle of it is designed for the maximum aero efficency: covered front wheels, no rear wing (except for two, adjustable flaps). Along with the more powerful battery (+50 kW), this leads to an increase of more than 50 km/h in Top Speed (from 220 to 280 km/h). Combined with a F1-esque 0-100 km/h acceleration (2.8 sec), those cars are set to improve lap Gen 1 lap times dramatically! 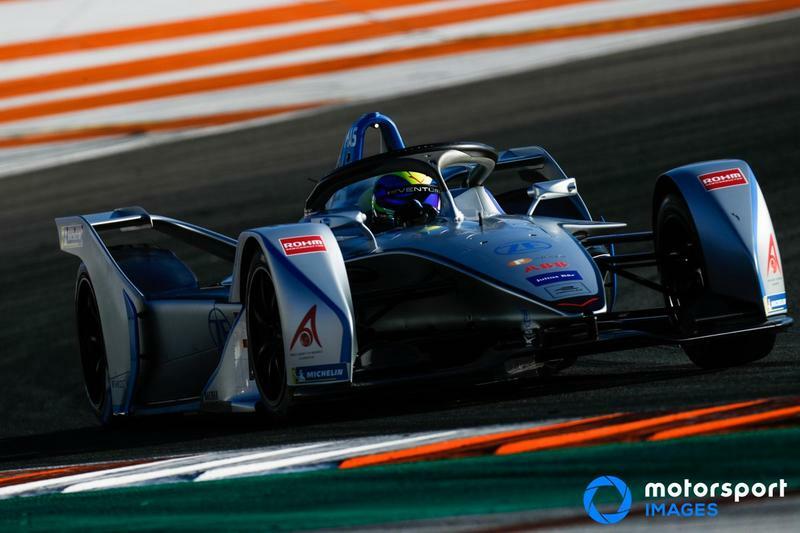 The new Formula E season brings new faces into the championship: Andretti operations are taken over by BMW, while Renault is leaving space to Nissan. And with the arrival of the HWA AG (German racing team with great DTM records), Season 5's FE grid will feature 22 cars! 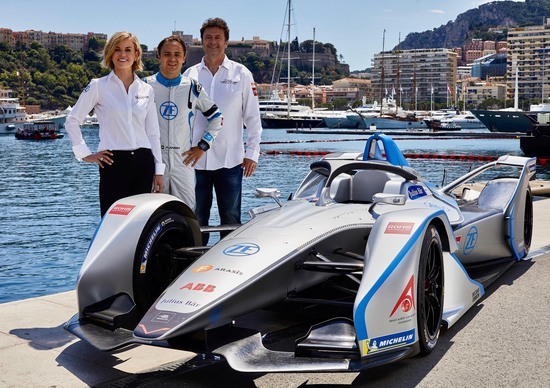 The number will rise up even further in Season 6, with the arrival of Porsche & Mercedes Factory teams, making Formula E the most relevant championship in terms of constructors presence. (9 of them). There will be 6 cars (max) groups, determined by championship position with the best placed driver in the first one. - NO MORE CAR SWAPS. The cars will be able to complete the 45 minutes race with little energy saving. In order to mantain a strategic element in the racing, the "Boost mode" will make its debut. Similar to the WTCC's Joker Lap, drivers will have to run over a specific section of the track before activating a +25 KW boost that can be used for 8 minutes. - RACE LENGHT will be no longer determined by a certain amount of laps. The e-Prix will be timed in 45 minutes + 1 lap after the timer reaches zero. Last edited by thegamer23 on Mon Oct 15, 2018 12:23 pm, edited 4 times in total. I gave FE a go when it first started. Had a few issues with it, stopped watching soon thereafter, though I've loosely followed online and through the pretty damned good youtube channel for FE. Glad the car switching is finally over. Neccessary, but I didn't like it. I don't like some of the gimmicks, that remind me of a videogame. Driving over a section to access a boost definitely seems like that. However, that's at least not as bad as that god awful fan boost that I really think detracted from the sporting aspect of the sport. Bizarrely, I do think the cars look like something from a videogame and look pretty damned cool. Was not aware of the 45 minute thing. I don't really have an opinion on this but it seems short. I know we all apparently have no attention span as a society but 45 mins seems too short for me. I'll not go out in order to stay in to watch F1, or meet friends for big football games etc. 45 mins not enough to merit not going out, and not long enough to be worth meeting up for. I guess your mileage may greatly vary by how much that is a priority. I'll probably watch at least some of it and see what is going on with it now, has been 4 years since I gave it a chance. Otherwise I'll just slide back into watching bits and bobs that interest me. I wasn't overly thrilled with the 45 min races either, but even with them having a lap number with 1 hour time limit before most races lasted about 45 mins anyway! I just can't get excited about that series. They actually race in my backyard; brooklyn, NY and I have no desire to go. 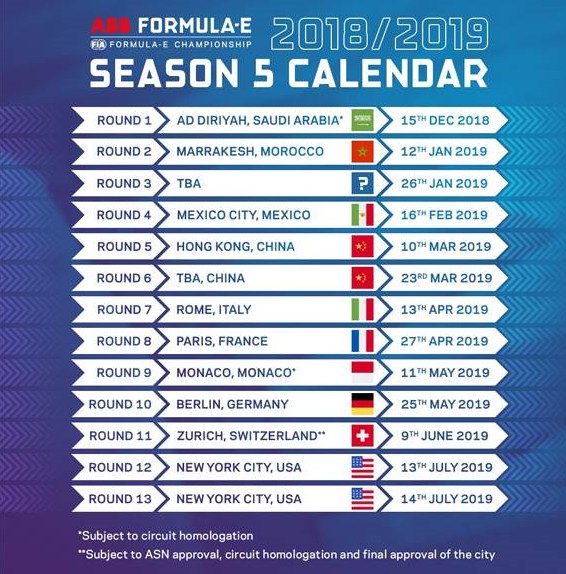 Does anyone know why pre-season testing is almost two months before the first race? Probably to give themselves plenty of tome to correct any issues and also to make sure they have decent weather as they test at Donnington UK (i think). Thecheetah - look at that classic livery in making! Felipe Massa iz back. I hope he does well. 1. Can the new car still be called "open wheel" and therefore is it a formula car? 2. There is still the problem that the only noise the cars make is gear box whine and squalling tires. I don't want to see them add sound effects but I can't get used to the current sounds. OTOH the cars look a lot better than the last few years and they have gotten rid of the car change. You are supposing that Mercedes, Ferrari.... don't have already have superior batteries to what McLaren is supplying to Formula E.
They may or may not. They're testing in Valencia since Season 4, with some chicanes thrown around to replicate the nature of a street circuit! Actulaly, next week (16-19th October) they're going to go testing there, so we should have plenty of news! Regarding the sound as someone asked, it's slightly louder than Gen 1 car, but has not changed dramatically. I've been in Rome last season for the e-Prix, and they sounded like spaceships already. The gen 2 sounds even more like a jet! Last edited by thegamer23 on Wed Oct 10, 2018 9:05 am, edited 2 times in total. Ever since I saw the new cars I've been more interested in this upcoming season. I'll be following it a bit more closely than in previous years (which doesn't necessarily mean much, given I've seen *inaudible* all of it up to this point). Tomorrow, Valencia test will begin! - Mahindra is set to announce their drivers today, car tomorrow! Compared to the previous seasons, I feel like the drivers joining the grid this year represent the best 'rookie' class to date. Felipe Massa represents the best ex-F1 driver to join the series so far (yes, I know Jacques was a WDC, but let's be honest: 2013 Jacques Villeneuve was not 1997 Jacques Villeneuve). Gary Paffett is the reigning DTM Champion and has a wealth of experience. Vandoorne, Wehrlein and Albon have all had strong pre-F1 careers, and whilst F1 didn't work out for Wehrlein/Vandoorne (and in Albon's case, he chose to give up that dream for FE), they are still really talented drivers who have a larger percentage of their careers ahead of them. And when you look at the drivers they're replacing (Heidfeld, Prost and Filippi) it does feel like the quality of the grid has improved, too. Only Rosenqvist is a real loss. Last edited by thegamer23 on Tue Oct 16, 2018 3:52 pm, edited 1 time in total. Cars are already 2 seconds faster than last season's quali efforts. This year in Valencia they have a much slower chicane (around 1 second slower), but they're still 1 second clear of last season's best lap. Much more to come in the next few days! I'm loving the look of that new car out on track! Formula 1 should take notice. 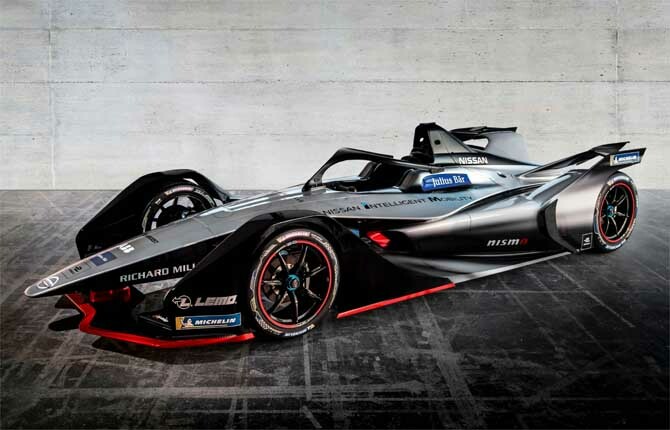 FE is going to get dramatically faster with each new iteration, and if they manage to keep the racing close while making the cars genuinely innovative... isn't that what F1 should be doing? Is it faster than F3 yet? Good look with the battery technology to make F1 worried in terms of power, race duration and having to avoid tracks that have steep inclines or long straights. Give it time. The combustion engine is a dinosaur in terms of technology - it's a hundred years old. 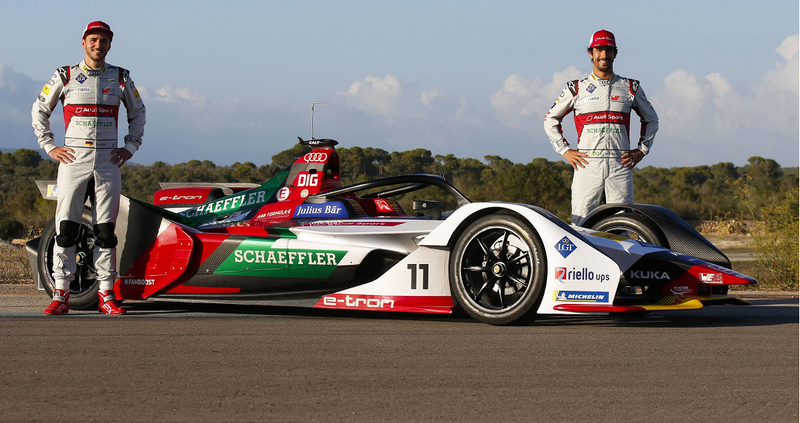 In only a few years they've doubled the battery duration and increased the power dramatically - anyone who thinks it won't eventually overtake F1 for speed is likely just in denial. It'll be a while, but it'll happen. However, the points I focused on - innovate technology and the ability to race closely - have nothing to do with the speed. Batteries will never get to that level, this is what I've read anyway, in respect to being able to race closely F1 is making the first step towards that with next year's front wing regs. Where did you read that? I mean, 20 years ago would one have taken you seriously if you stated that one day you could carry your encyclopedias, maps, music collection, diary, camera, games etc all in one item that you could carry in your hand. Oh - and it would also make 'phone calls. Battery (or other emission-free) technology will get there. No, a classic livery being ripped off - look at the old "John Player Specials" livery. I see they've got the Indycar style visor cameras - Come on F1, pull your finger out. 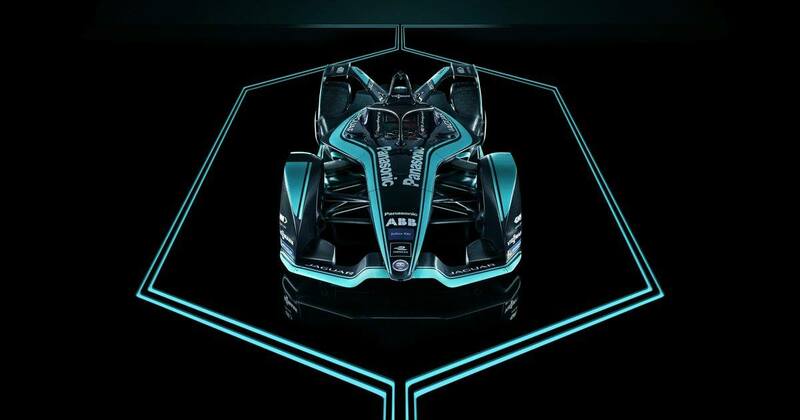 I still don't see Formula E as anything more than a technical curiosity. A flashy R&D program dressed up as entertainment. I looked on line and it doesn't seem like viewing figures are increasing convincingly but that's clouded by timing/conflicts/tv scheduling etc. 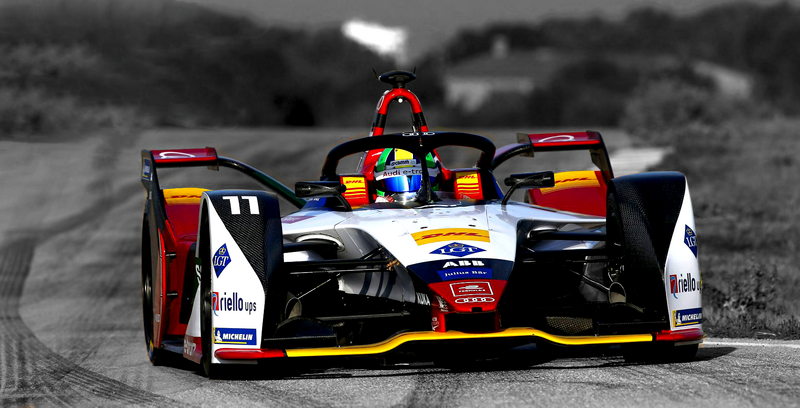 have any drivers that have competed in Formula E gone on to anything bigger or better? Having "big names" might be seen as a draw, but in each instance I'm left wondering what other series were options for that driver at that stage. The opinion I most align with is that it's basically a proof-of-concept. i.e keeps it going long enough to drive the development of the technology to the point where its could be adopted by others series potentially all the way up to F1. Can't imagine an electric NASCAR though! That's not exactly giving 100% backing on battery energy? I just read that the storage capability will never be as good as a fuel celled car. I won't go as far as to state that battery power is the sole option - if that's not giving 100% backing to battery energy, so be it. In terms of energy storage, different battery types have different storage capabilities (plus differences in ability to accept energy, i.e. charge). 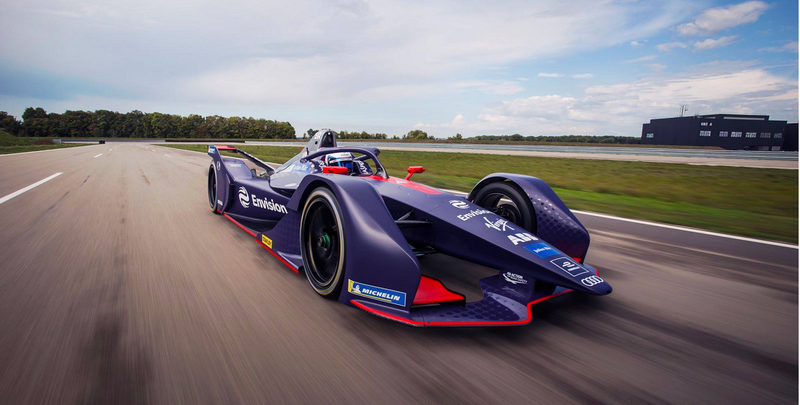 It may well be that a combination of different technologies (in a similar vein to current hybrids) will prove to be optimal for powering vehicles (I'm not restricting this to race cars either). - Does Formula E also contain tiers like F1 or all cars are similar to the T with drivers making all the difference? I remember when seeing A1GP years back, it was that a single Country (car) would dominate the entire season. I used to believe the driver made the difference there as all the cars looked same except for the liveries. ... regulations allow new powertrain manufacturers, who can build the electric motor, inverter, gearbox and cooling system; the chassis and battery stay the same. Well I wouldn't disagree with you there, I think battery technology alone is a bit limited. It's more evenly matched than F1, definitely. Four different champions in the first four years, as well as eight different teams winning at least a race in the same period. And last season the smaller Techeetah outfit, who were running the Renault powertrain, actually scored almost twice as many points as the Renault (eDams) team, narrowly missing out on the Team's Championship in the process. That being said, it's not like every race is a lottery where any team can stick it on pole and win the race. There are definitely consistently better (and consistently poor) teams, although how the order will be shaken up this year remains to be seen. 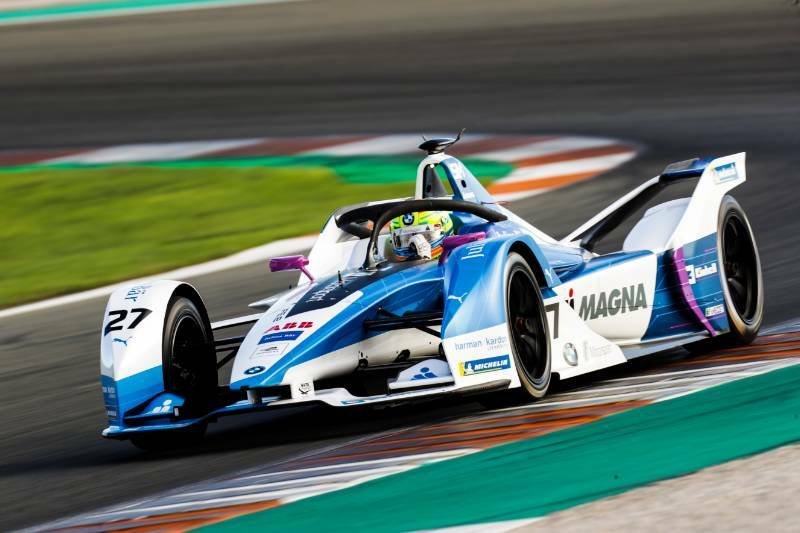 For instance, BMW have so far topped both days of testing having finished last in the standings last year, albeit before becoming a full BMW entry. 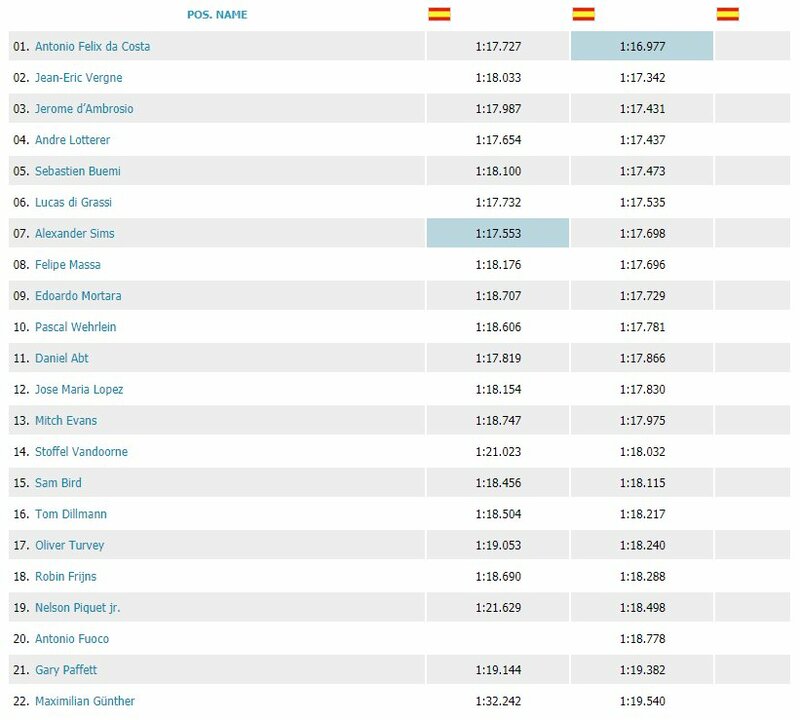 Today a race simulation was held in Valencia! 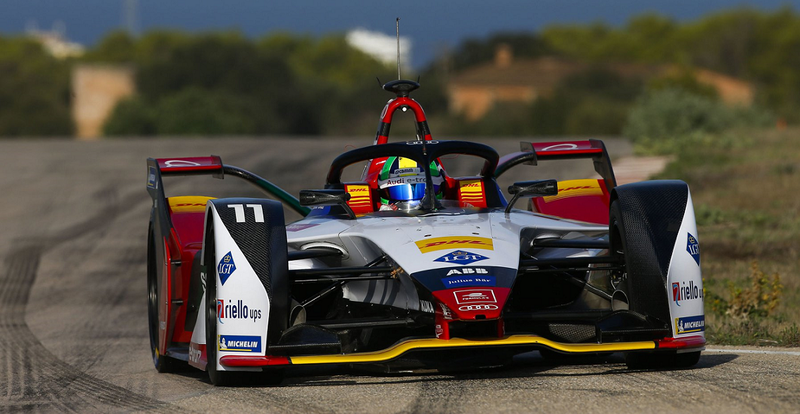 Di Grassi (Audi) won by attacking Sims (BMW) at the last corner of the race. In the morning session it was normal running tho, with Da Costa's BMW fastest of them all in 1'16''977 (5 tenths better than yesterday). Also, it appears that this season's chicane in Valencia is 1.3 seconds slower than last season. So, around 3 seconds pace improvement on the 2017's 1'18''5 by Turvey. BMW seems to be a force to be reckoned. I would say there are probably two tiers of competition in Formula E based on previous seasons, but crucially the gap between them is nowhere near as wide as it is in F1. In FE the car/powertrain/setup probably makes 50% of the difference and the driver the other 50%. Some teams got their power units quite wrong and fell to the back as a result, but you don't have a situation where there are teams on top due to budget who are simply stuck there. At least as of last year, performance seems merit based rather than budget based. A privateer won the driver's championship and very nearly won the constructor's title as well, largely because Audi messed up their reliability at the start of the season. Last year Audi looked dominant in testing but couldn't finish a race until the midpoint of the season. We'll see how BMW does when the running gets real! 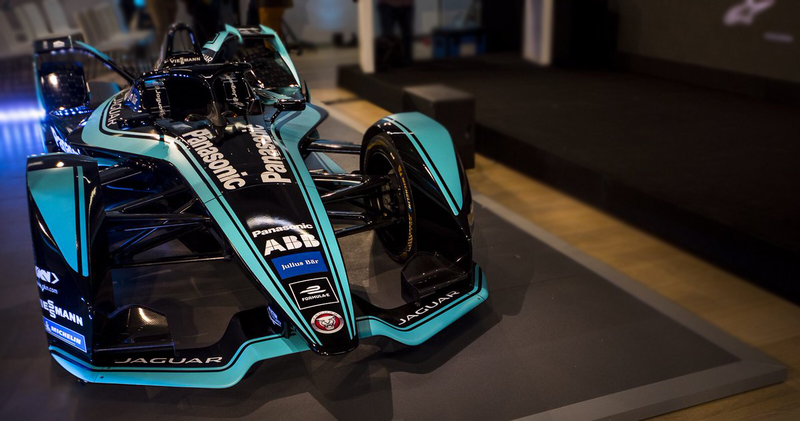 While formula-e does genuinely represent new and rapidly advancing tech. It is not so easy to explain by the age of the technology since the electric engine (1834 for a real engine) predates the internal combustion engine(1859), and the battery (1800) pre-dates both engines, yet it is the battery seeing the more rapid advances right now. I would have thought the current leader in power to weight ratio for storing electrical energy would be the fuel cell or the capacitor, but in fact it seems there are batteries with kwh/kg ratios that are astounding. 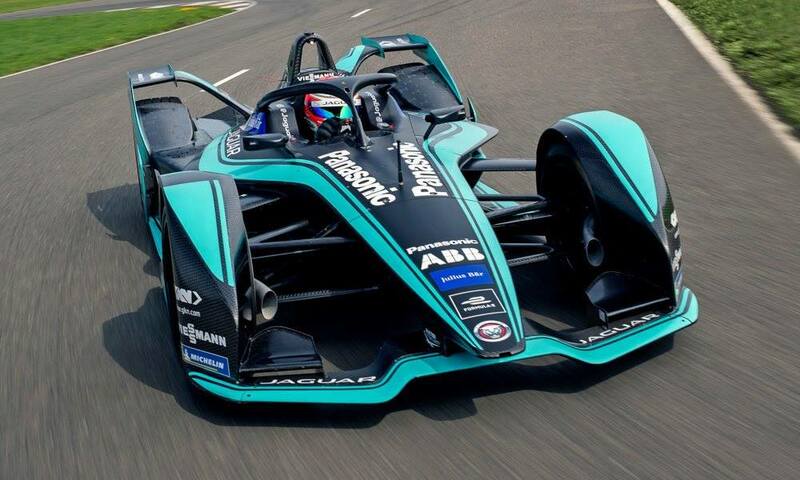 The current formula-e battery is 54kwh (from McLaren page) or 194400kJ, which with Aluminium air batteries that are stated on Wikipedia to have 4680 kJ/kg, would only weigh 40kg, and clearly a car could allow a little more than this in weight. given current f1 cars carry 105kg of fuel per hour (or around 160kg for Austin). While the McLaren batteries would be leading edge of what is available now, there are battery technologies which could double, or even triple the available power again if and when those batteries of that efficiency can be made practical. Seems a bit half hearted to me showing the races on either the red button or via the website, at least one race will be on one of the BBC's channels, why not put them all on a channel. I thought channel 5 had the rights in the UK still until I saw this. Bit of a shame as I thought they did a decent job last season. At at the same time, glad it'll be on iPlayer cause it sometimes took days to go o to channel 5's catch up service. Regarding the helmet cam from above - I seem to remember f1 trying that a few years ago with 1 team and people didn't like it so they didn't take it further? That's the final driver lineup for Season 5! Starting in just two weeks, December 14th! JAGUAR -> Mitch Evans - Nelson Piquet Jr.
Today, Nismofest in Fuji, the FE car was the star of the show! A rich field of drivers and something for me to watch over the winter break, I just need reminders when the racing is on because I always seem to miss it.